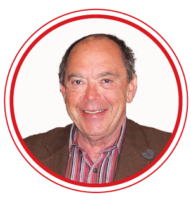 Ellie Salkow began his career as a salesman and honed his entrepreneurial skills early on in South Africa and later in the United Kingdom. In 1979, he started Ellies and with great entrepreneurial spirit and flair, he soon recognised, exploited and created new opportunities within the market. Following the resignation of Wayne Samson, a dispensation was obtained from the JSE for Ellie to take on the role as both executive chairman of the board (with Oliver Fortuin as the lead independent non-executive director) and Joint CEO during this interim period while the Group recruits a new CEO. Dr. Shaun Prithivirajh was the Group CEO for GloCell Proprietary Limited (“GloCell”) for the last two years. Prior to joining GloCell he was managing executive and director for Ellerines Services Africa as well as manager of international products retail, commercial and industrial for Chevron South Africa Proprietary Limited (Caltex). Shaun holds a PhD in Business Management from the University of North-West, MBA from the University of Natal, Post Graduate Diploma in Business Management from the University of Natal and a BA from the University of Durban-Westville. He has extensive executive experience in turnaround businesses and in-depth management experience in highly competitive retail and service driven businesses. Shaun was appointed as the new CEO of Ellies with effect from 1 August 2018. 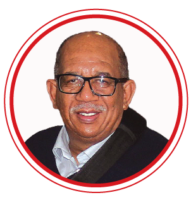 Martin was the MEC for Finance in the North West Provincial Government from 1994 until 2004. Prior to that, he spent 17 years in healthcare services. 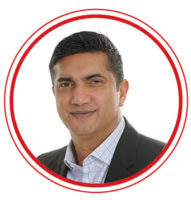 In June 2004 he became CEO of the South African Bureau of Standards, a position he held until July 2009. He was the chairperson of the first Board of Trustees for the Government Employees Pension Fund overseeing a portfolio worth R850 billion from June 2005 to July 2009. He served on the PRI Board of the United Nations Global Compact Initiative on Responsible Investment, served as chairperson of the Pan African Infrastructure Development Fund and is President of the Afrikaanse Handelsinstituut.